I had kind of a lazy weekend. I finished up all my "have to be done" projects for January so I took things slow. I spent my weekend relaxing, watching Harry Potter movies, and putting together the blocks on my Grand Illusion. All of the blocks are assembled, the sashing is assembled and attached to the side of the blocks. My next step is attaching sashing and cornerstones. So not much longer and this top will be done. But, tonight I get to go watch my niece walk the stage for her early graduation and when I get home, I'm tackling elephants. 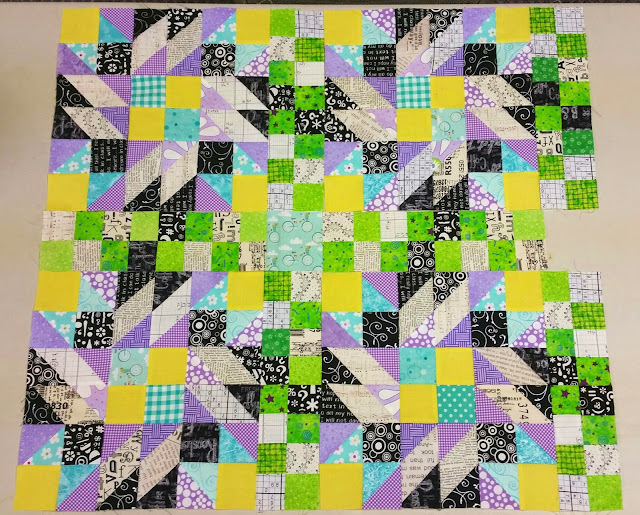 There is still time to whip up the first block for our Not So Last Minute Christmas Quilt Along and link it up for the drawing on Saturday. Come join in the fun!! 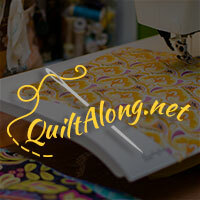 Today I'm linking up with Design Wall Monday at Patchwork Times, Monday Makers, and Show and Tell Tuesday with I Have to Say.